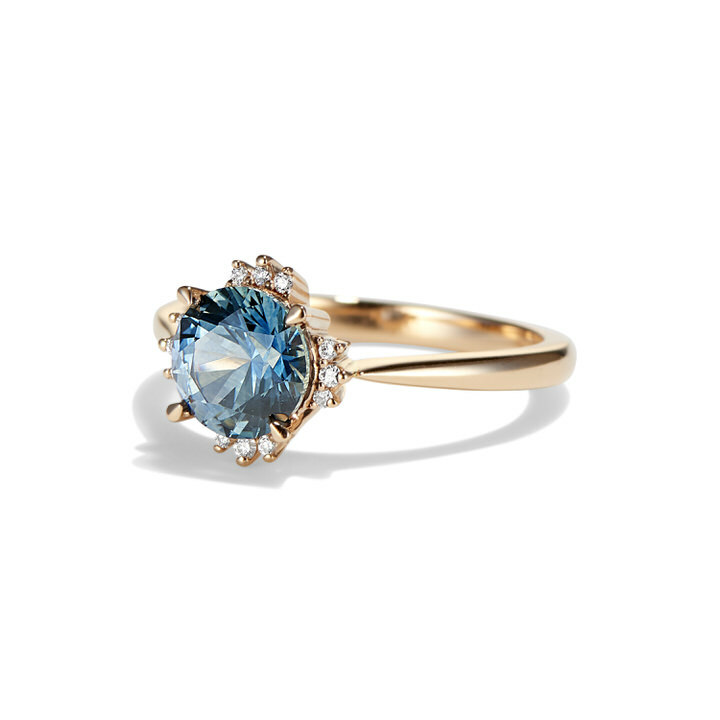 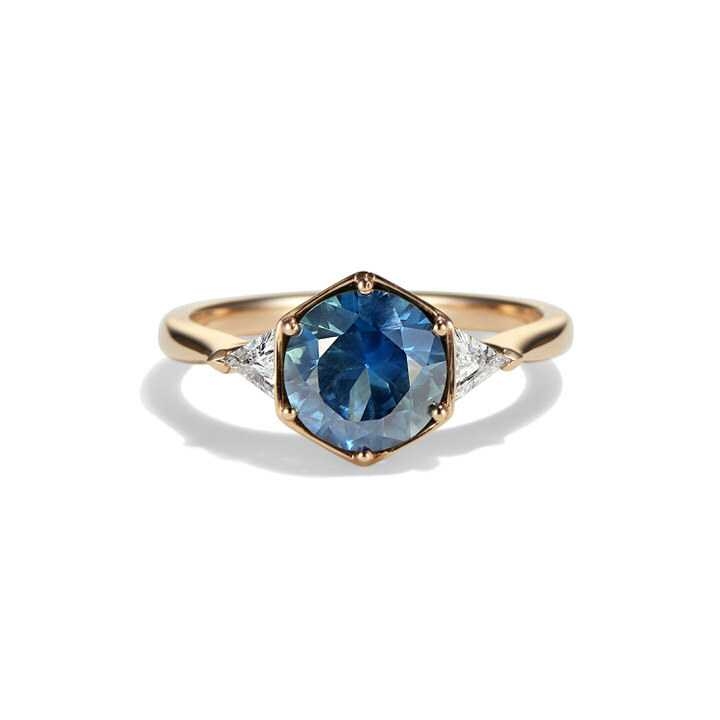 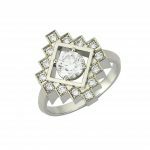 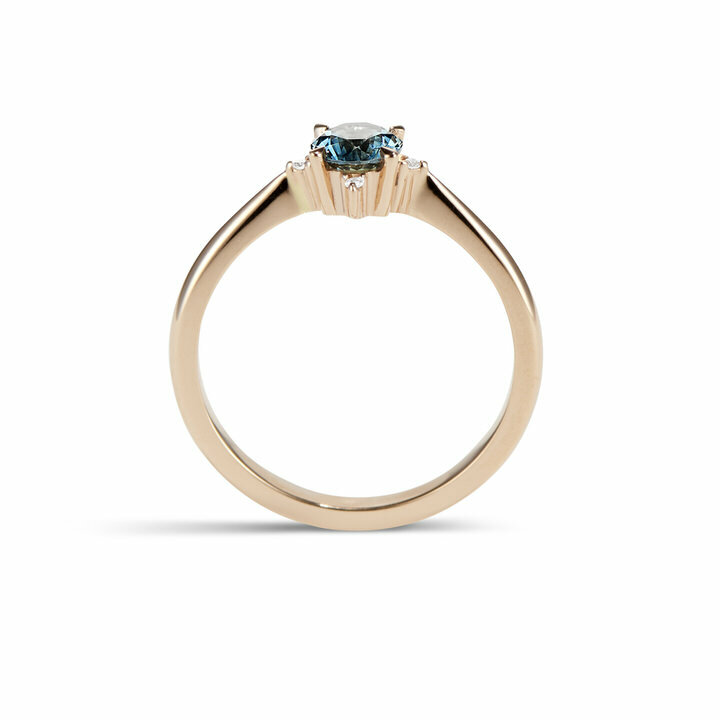 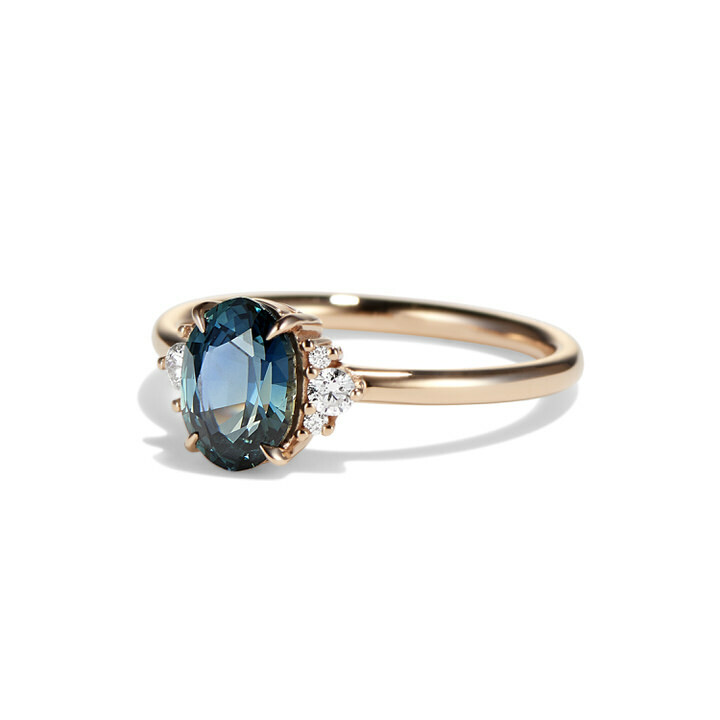 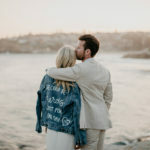 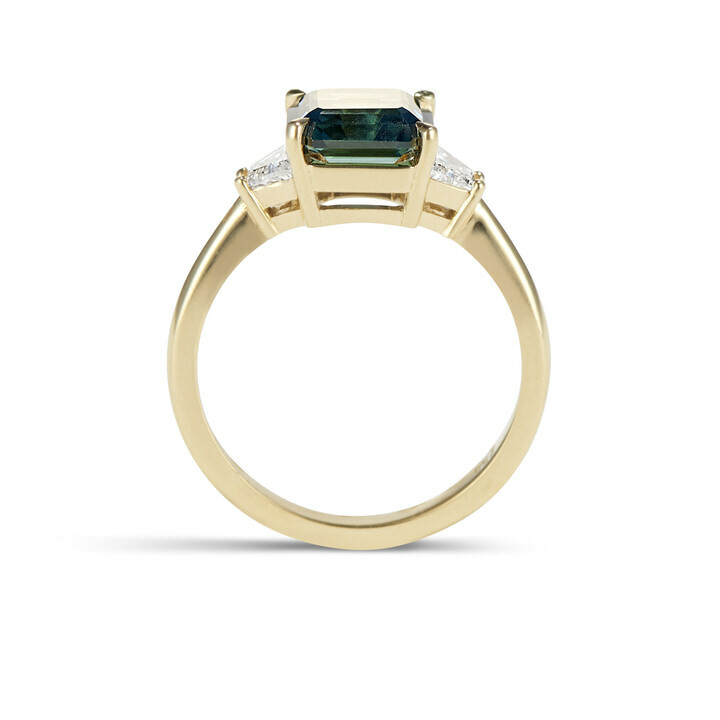 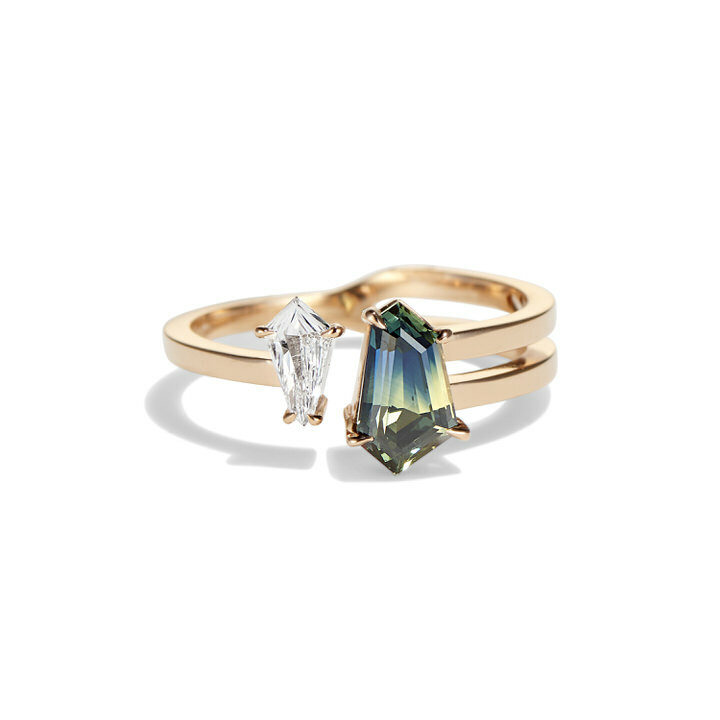 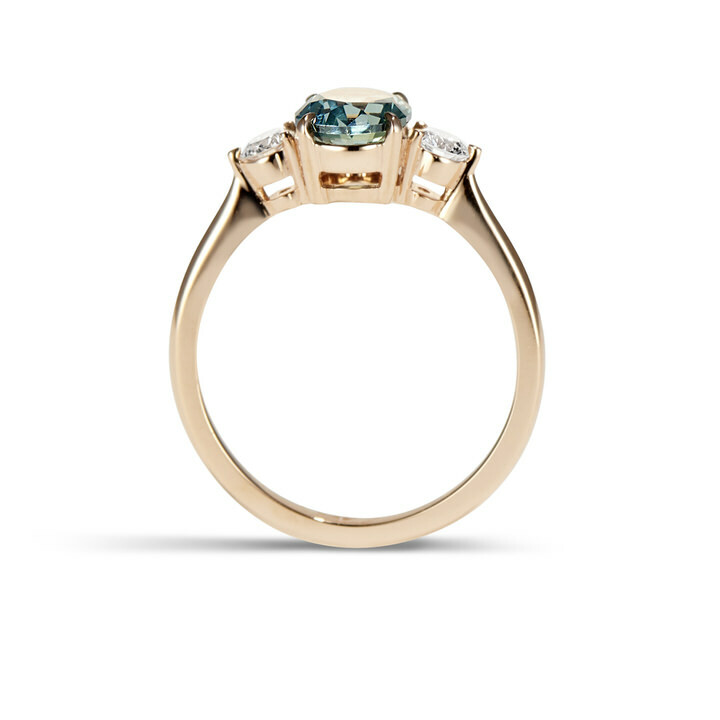 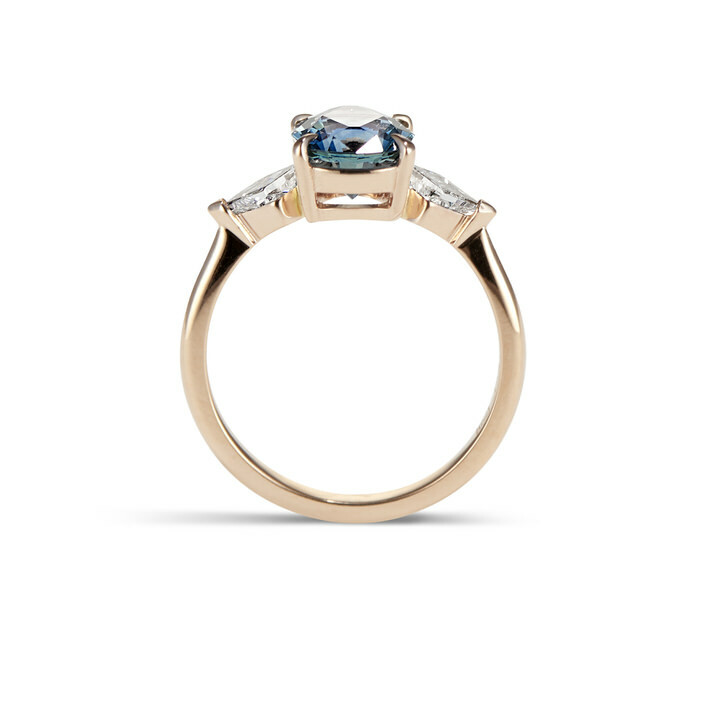 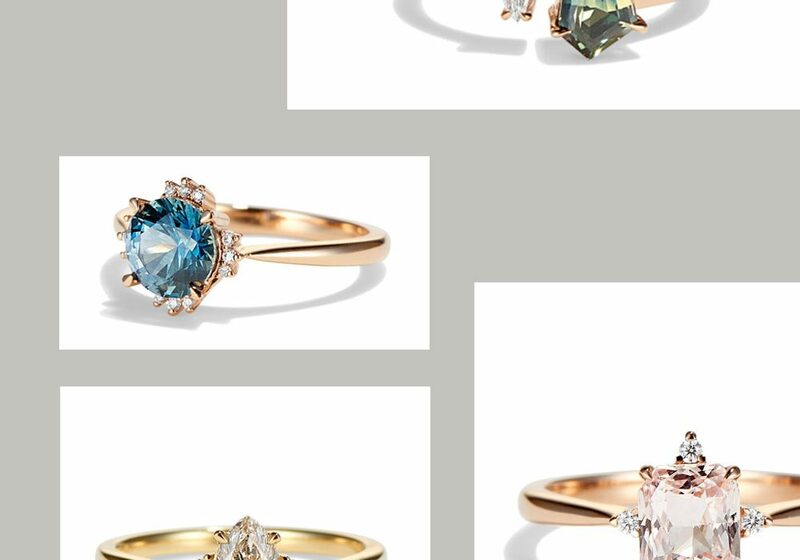 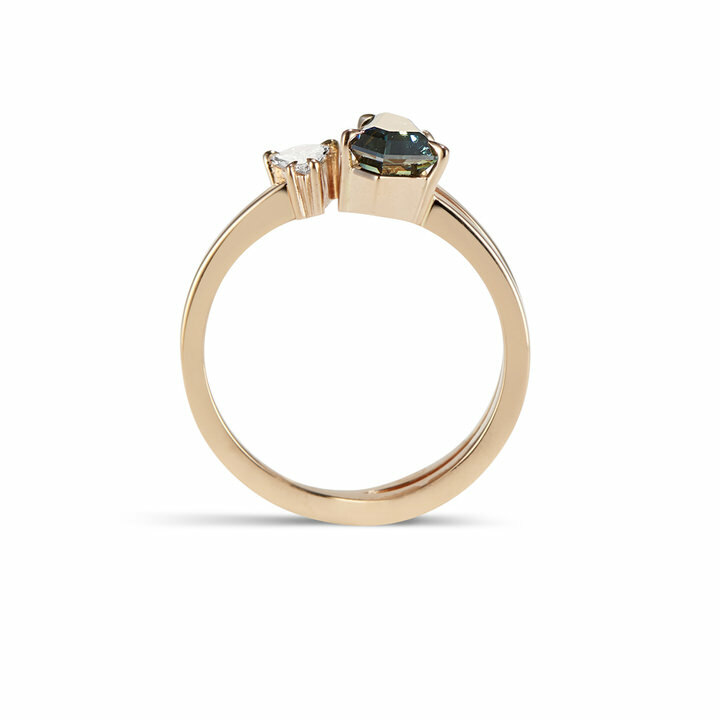 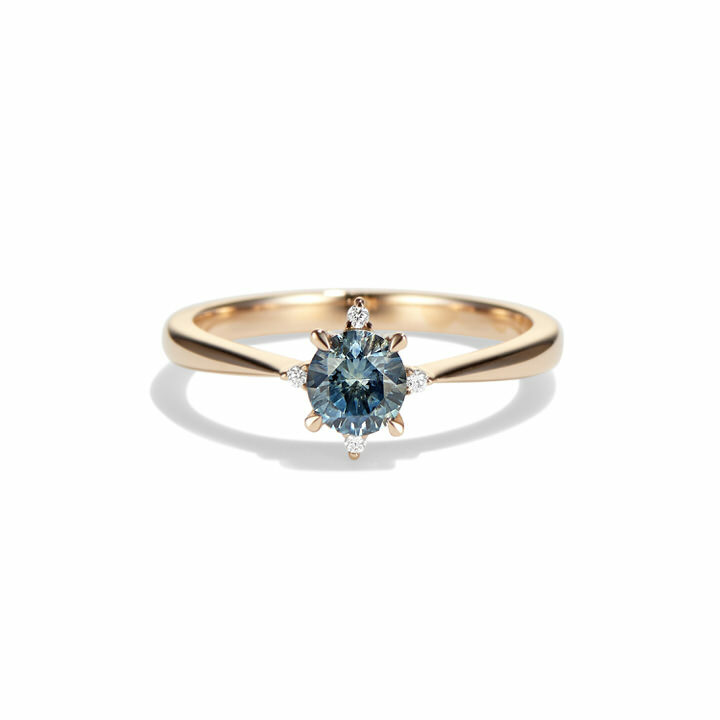 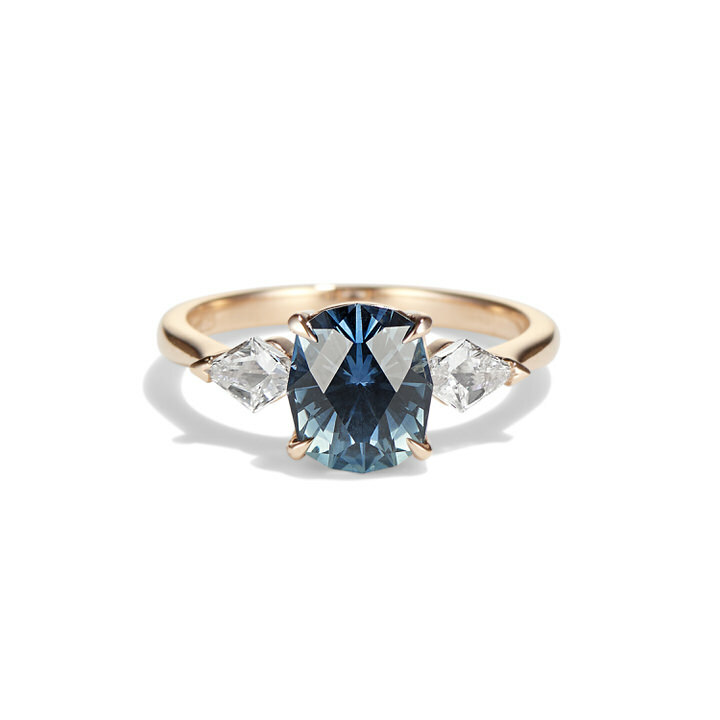 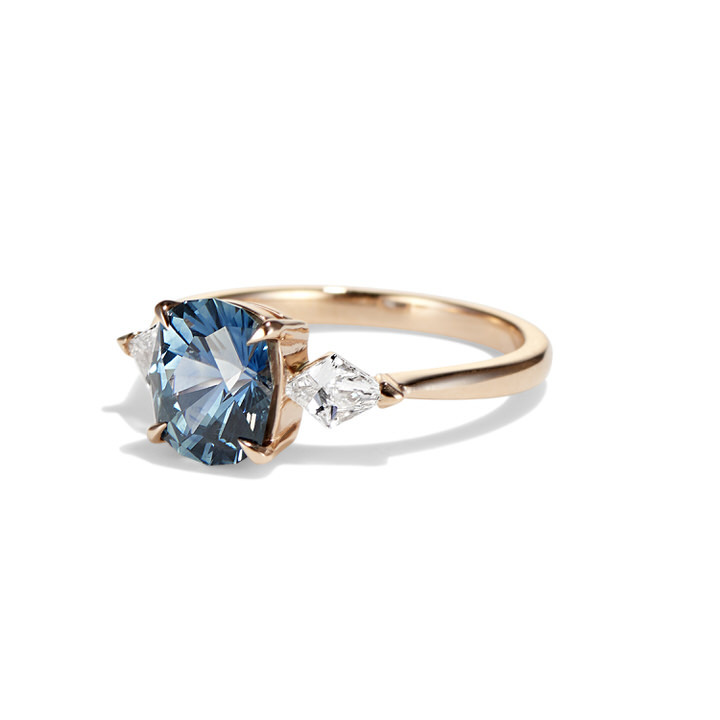 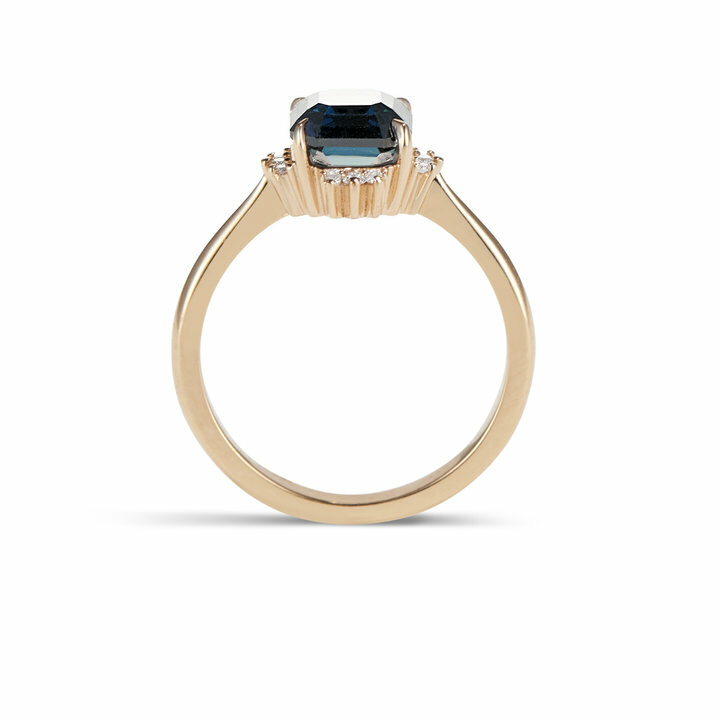 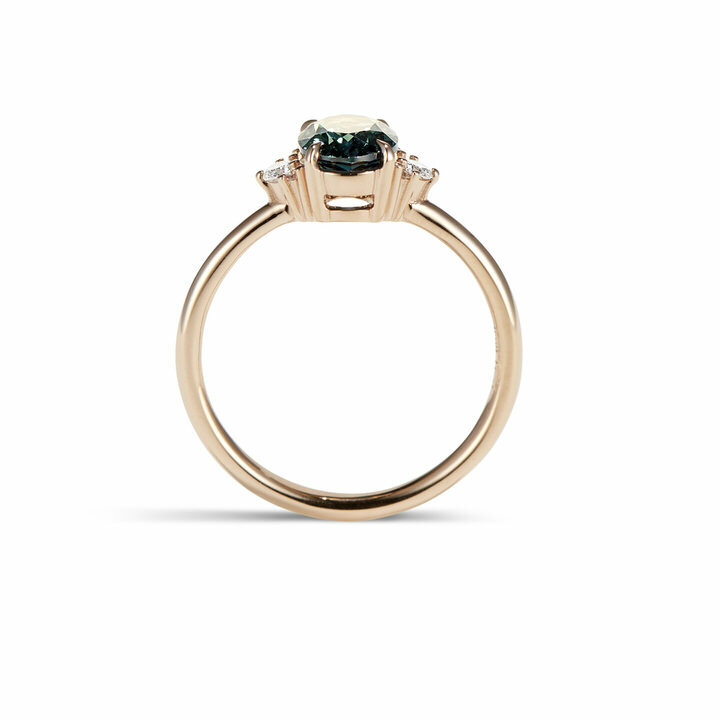 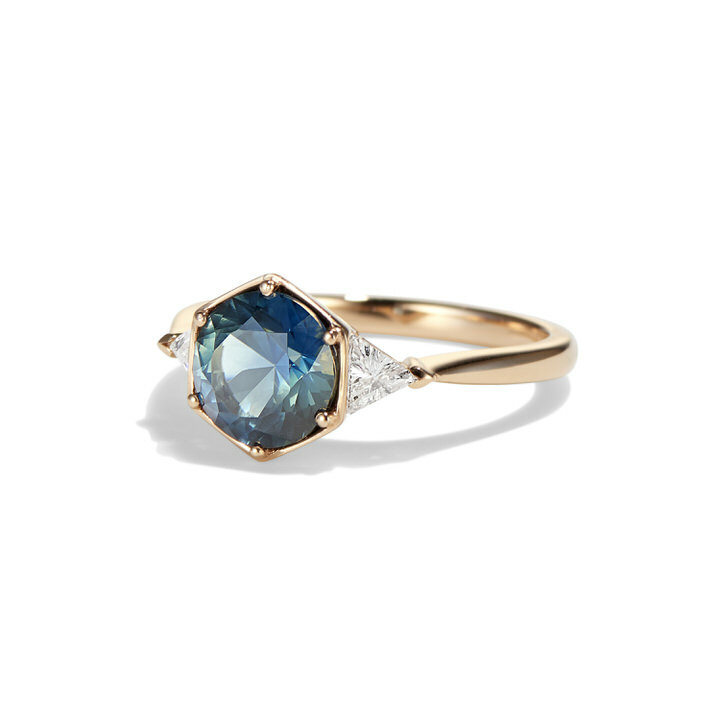 Bespoke jeweller Cushla Whiting’s new collection of unconventional engagement rings centres around mesmerising sapphires in a variety of oceanic hues, ethically sourced from locations around the world. 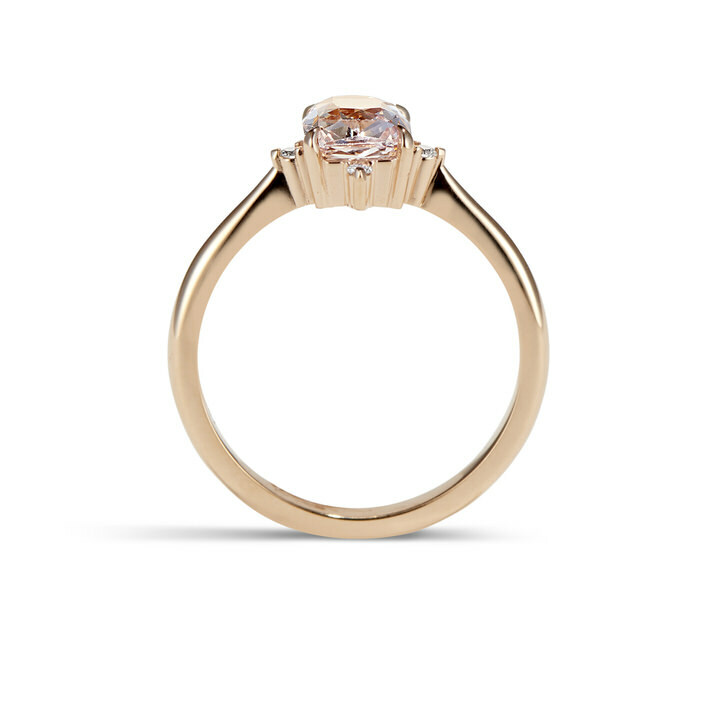 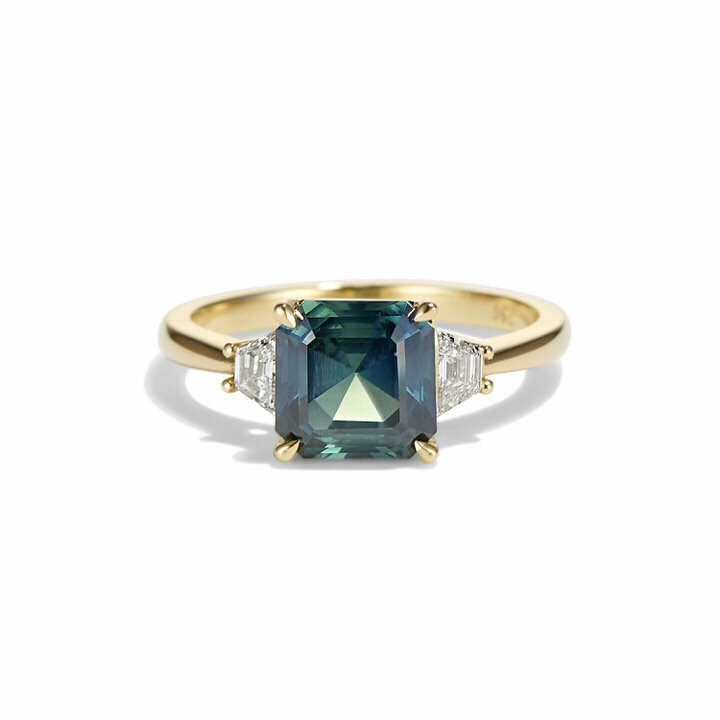 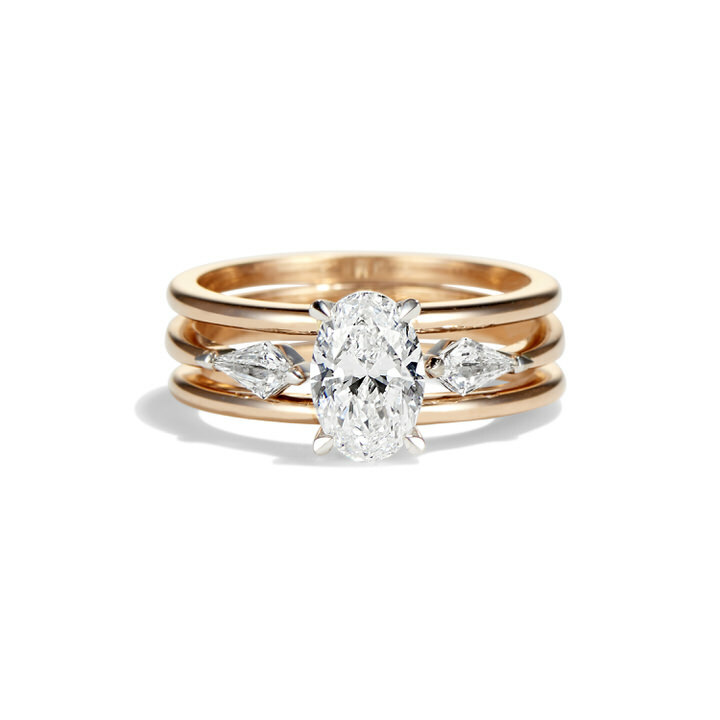 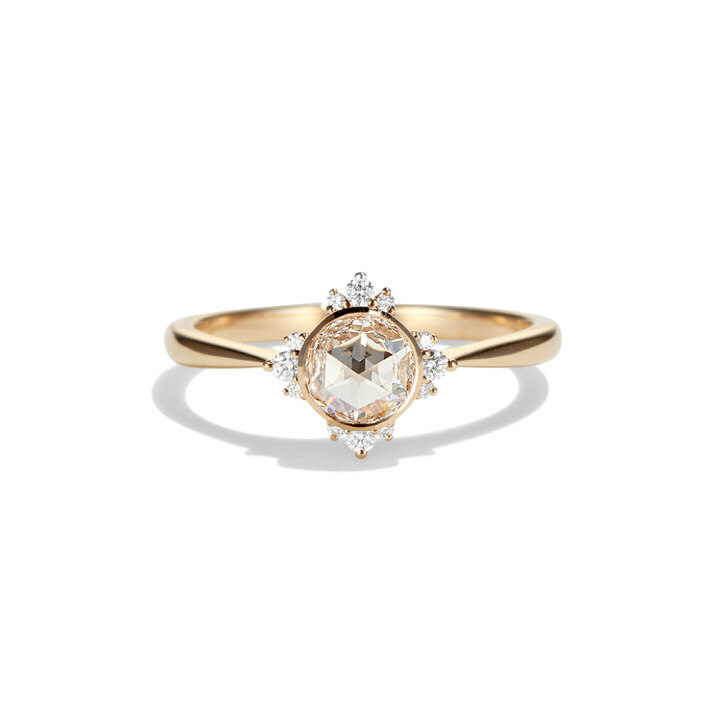 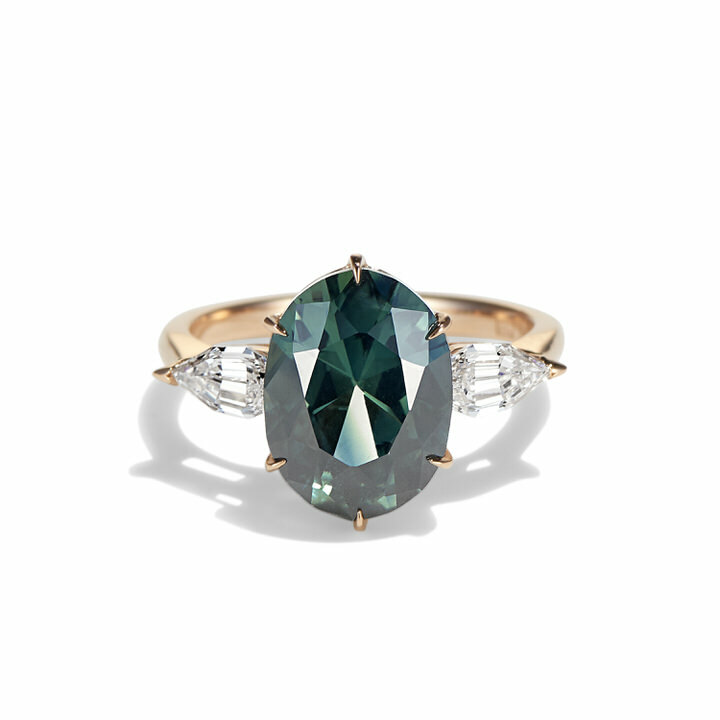 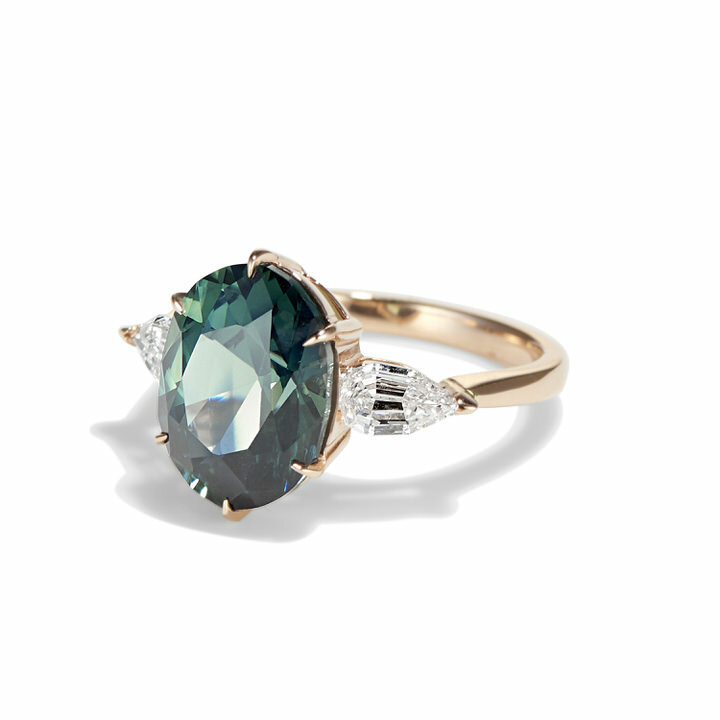 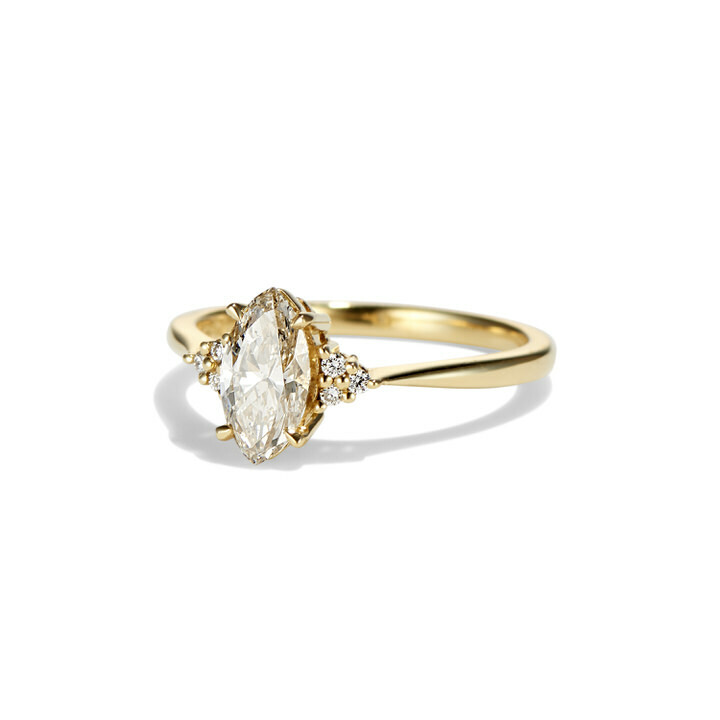 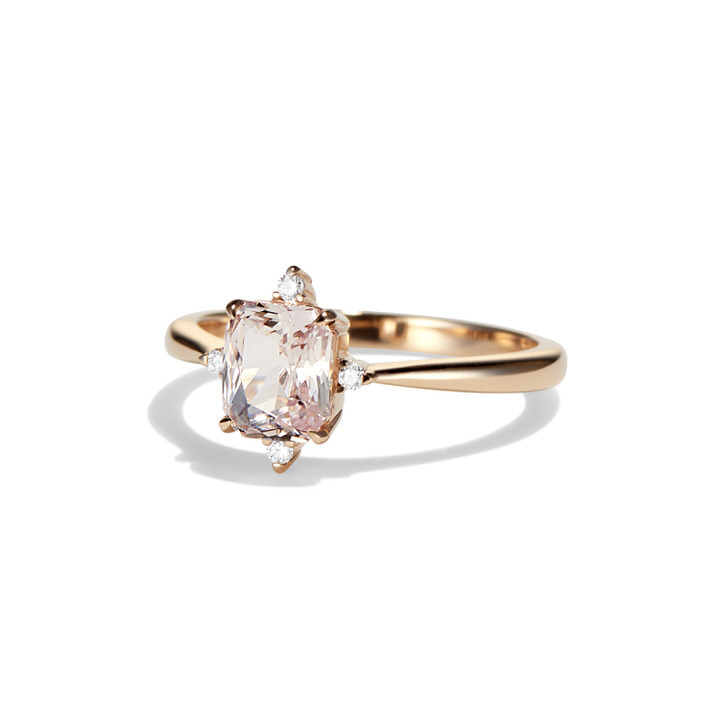 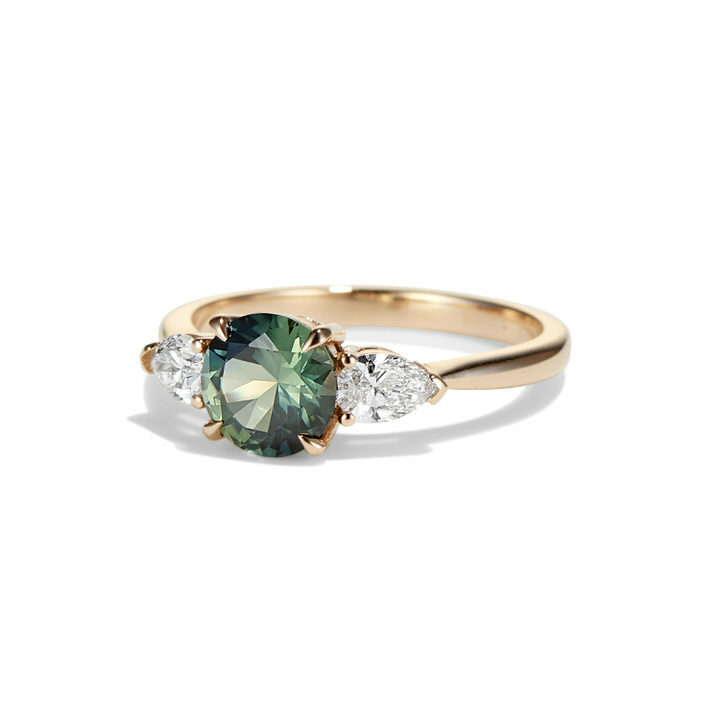 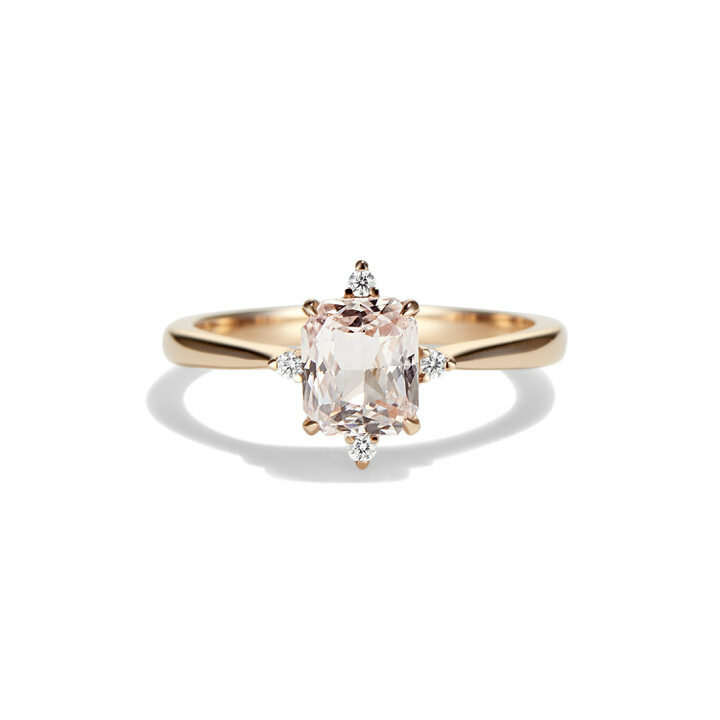 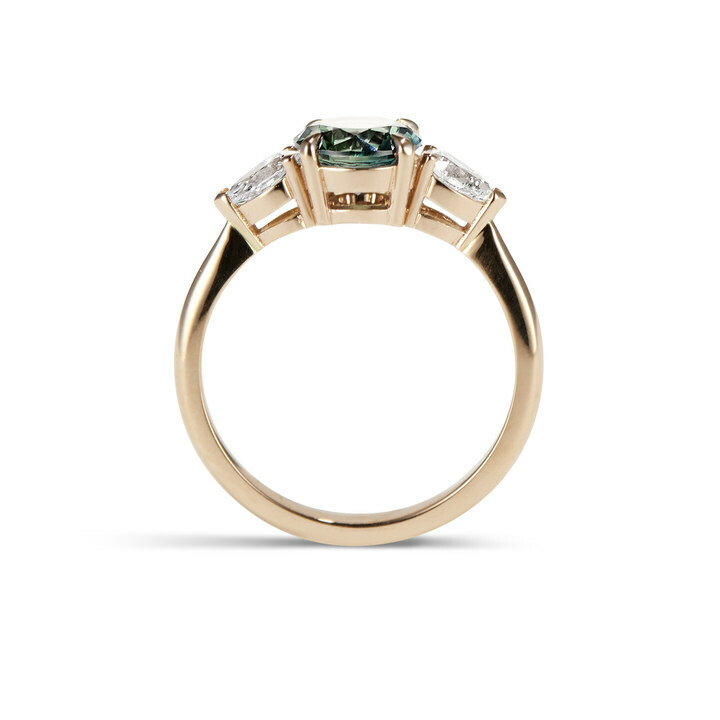 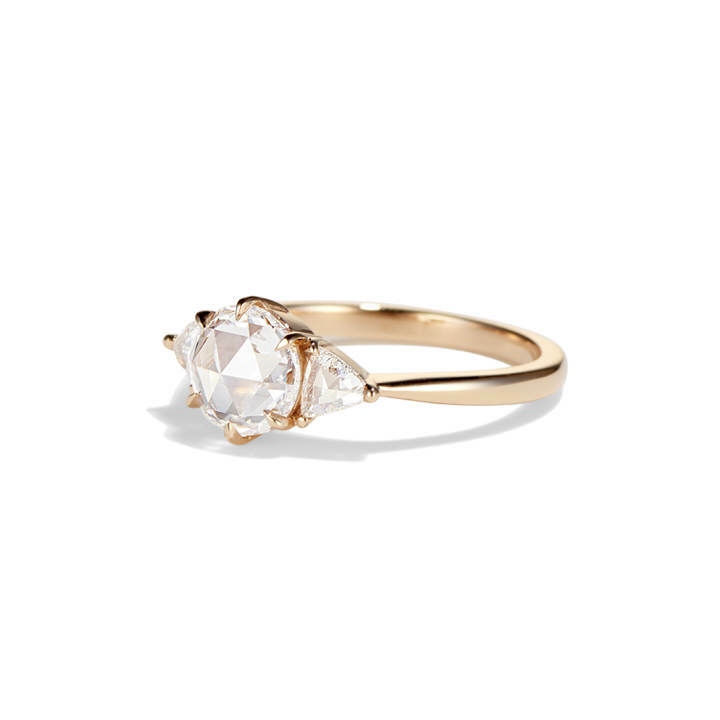 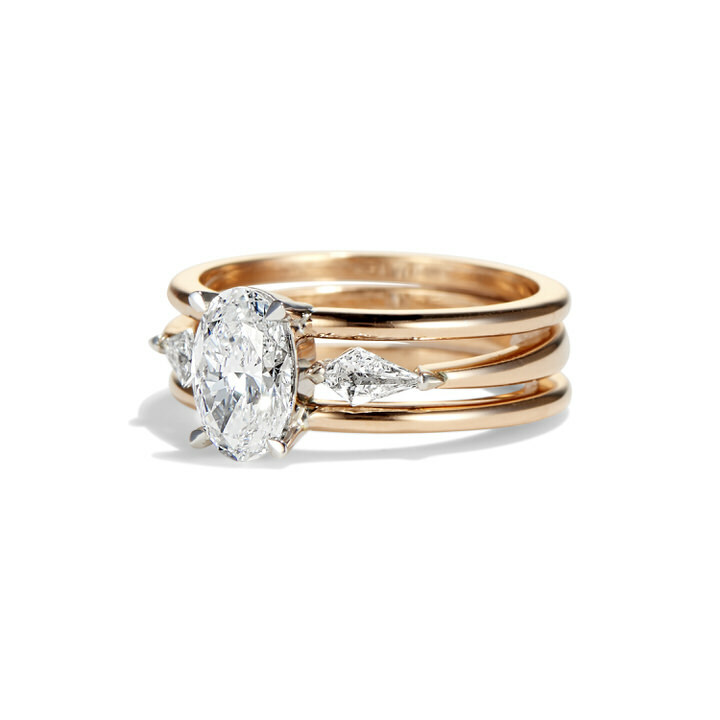 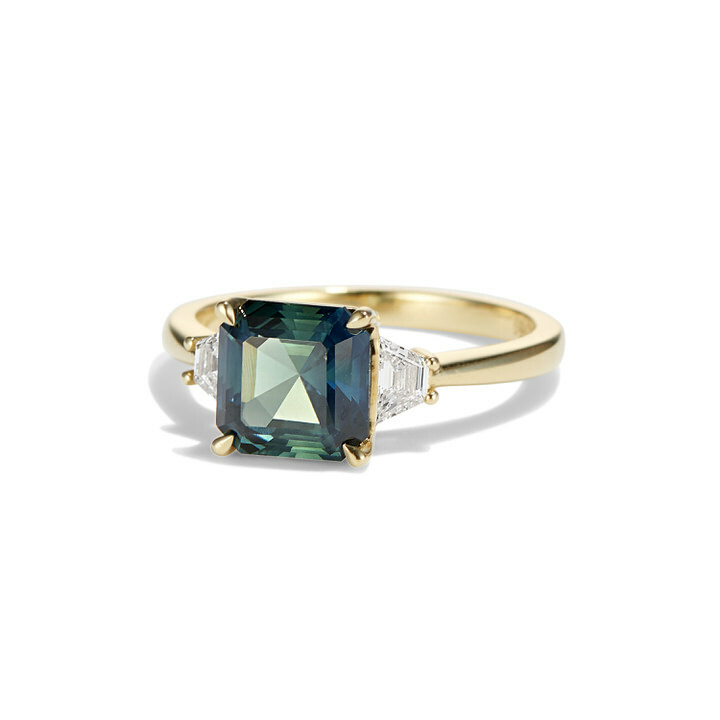 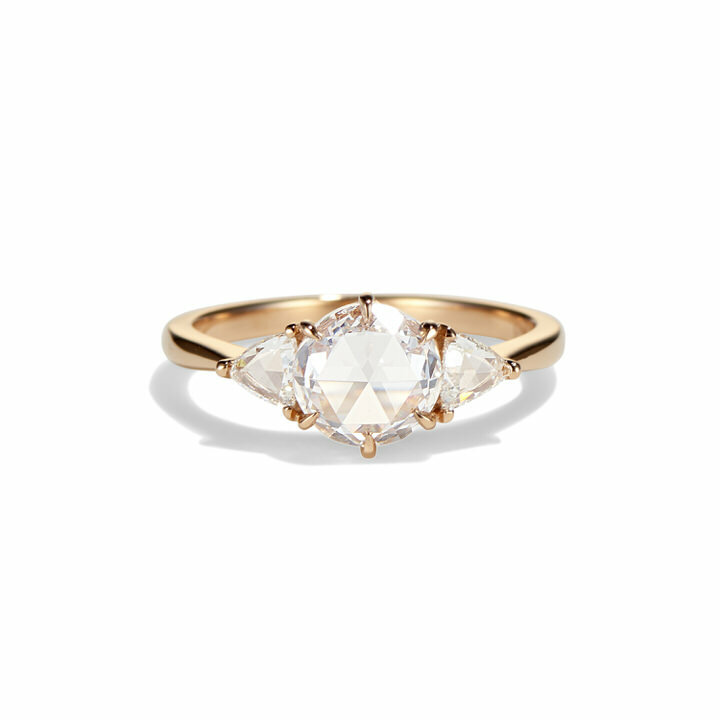 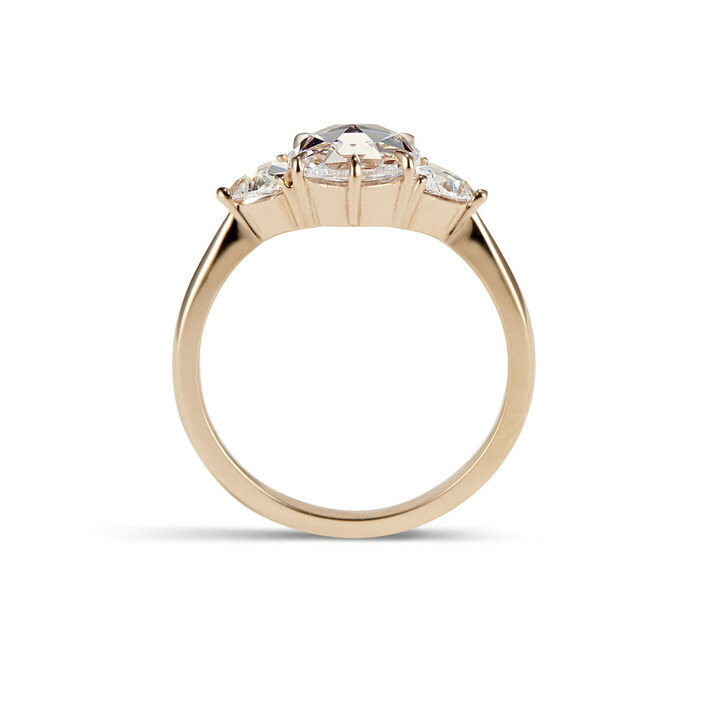 You will also find unique diamonds (behold the Valentina pictured above), including antique rose cuts with their soft, water-like glimmer, are used to accentuate the rich colours of the precious coloured gemstones within the range. 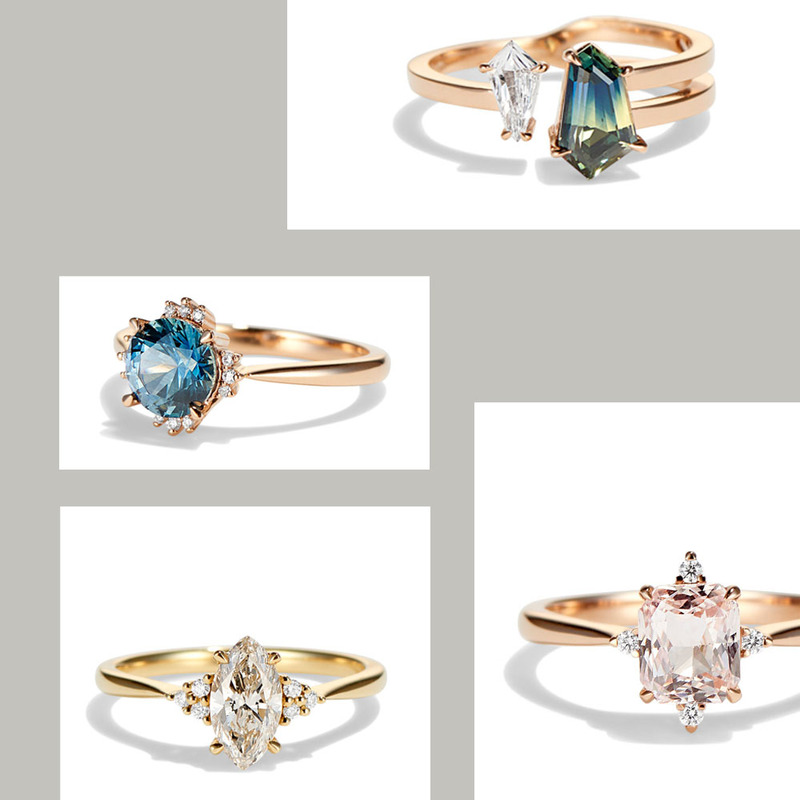 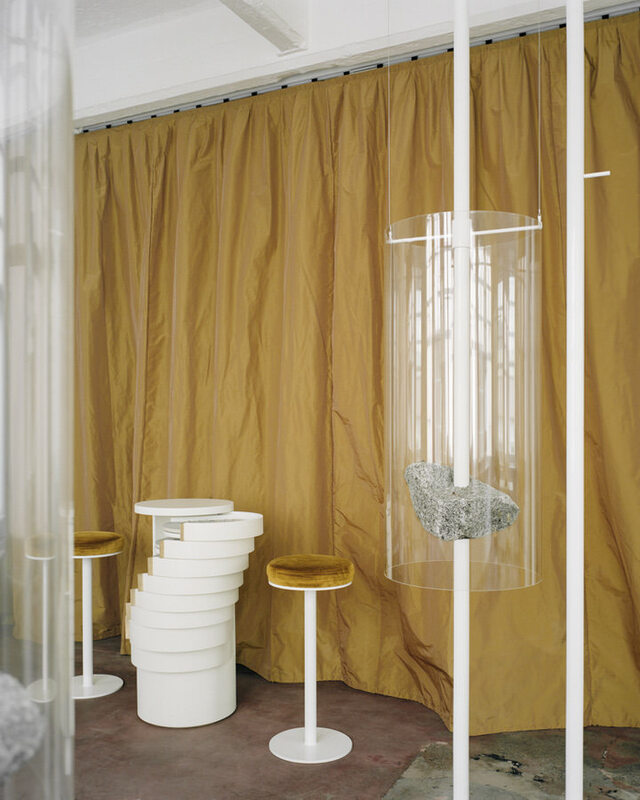 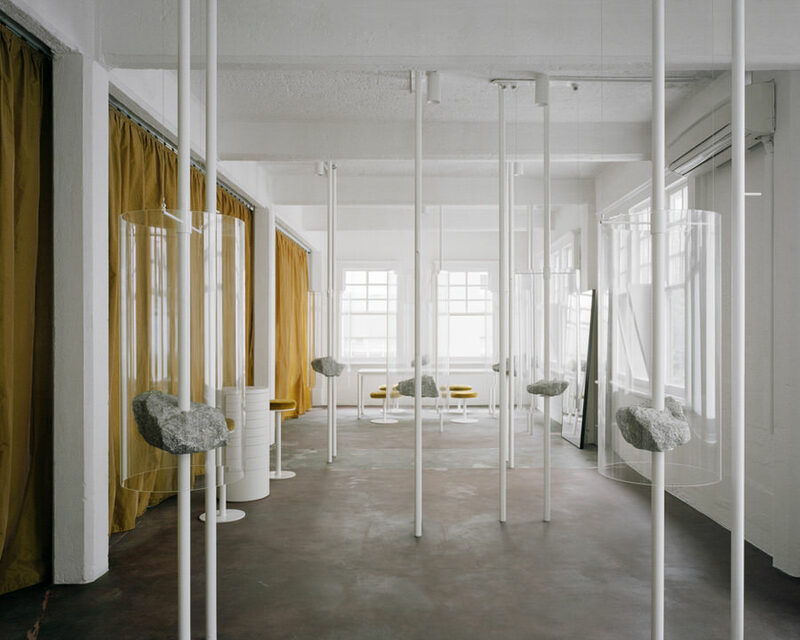 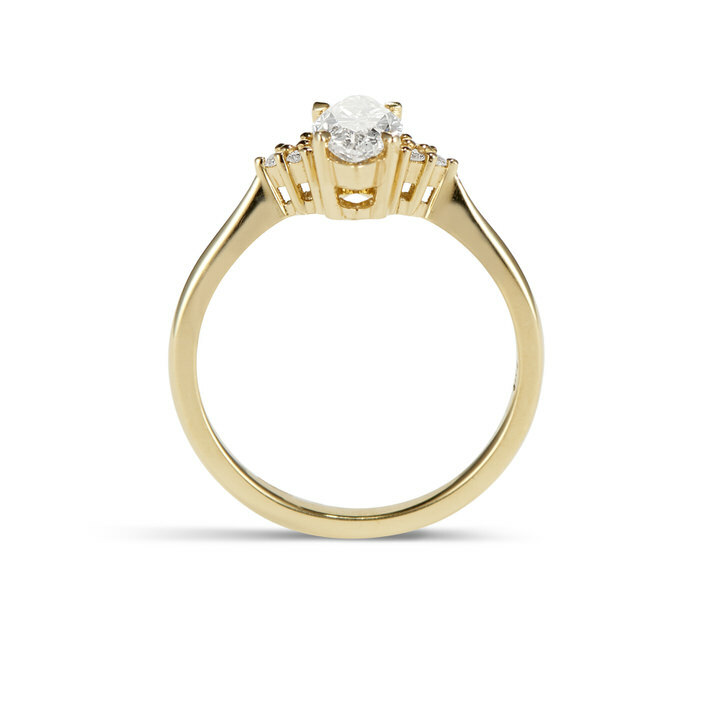 Below is a preview of this stunning new collection. 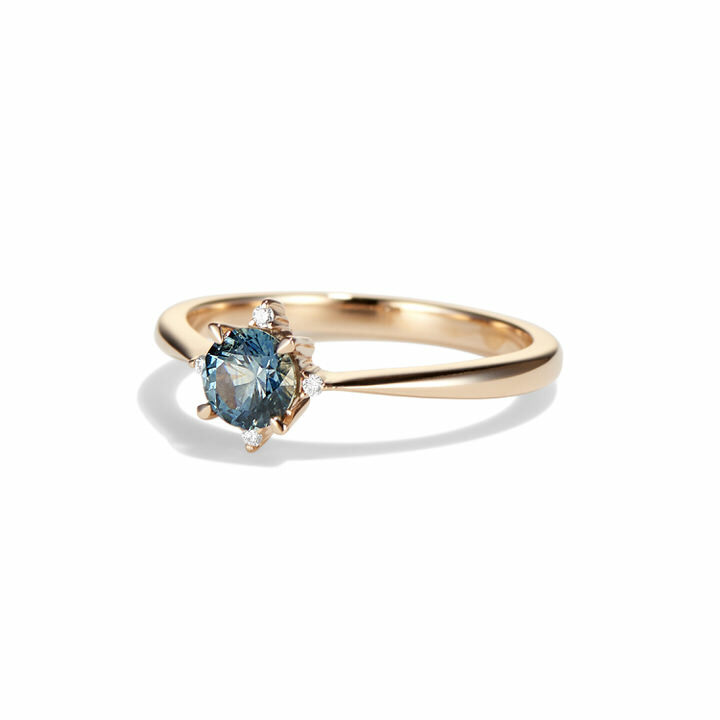 Meticulously handcrafted in 18 karat rose gold, the collection combines contrasting tones of blue and blush in an effortless way, drawing attention to the exquisite sapphires it features. 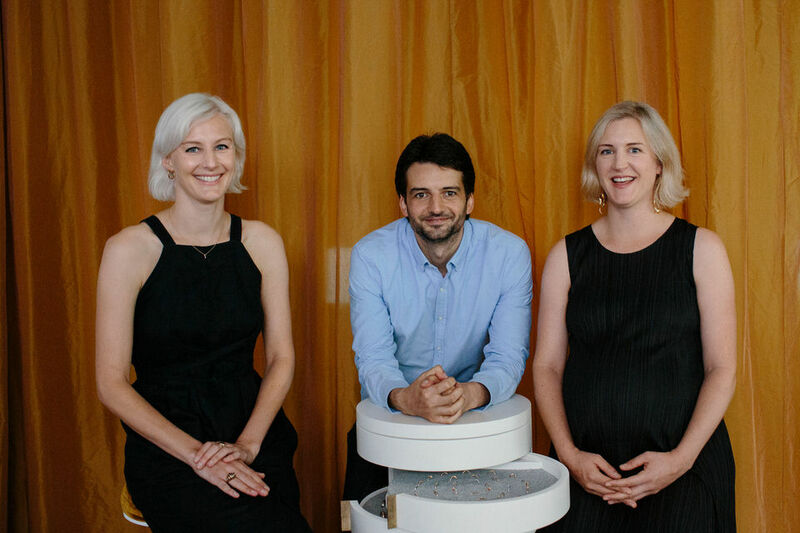 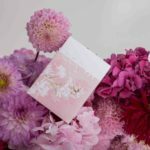 If Cushla Whiting is not on your radar already you can read more about this beautiful brand and the three siblings behind it, in issue 15 which has just hit the shelves. 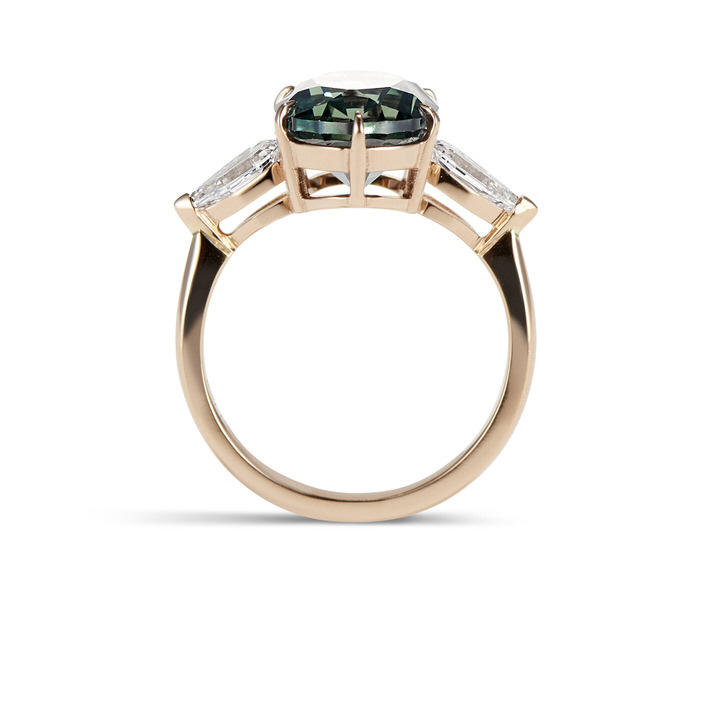 The Cushla Whiting boutique is a perfect reflection of the jewels themselves, is one of the most beautifully designed spaces we have seen. 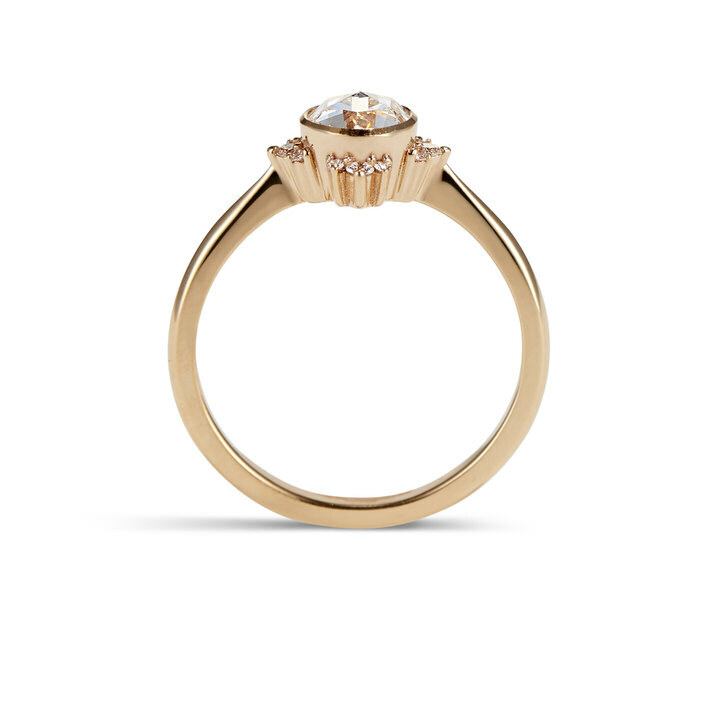 headquarters are based in Melbourne but the brand services locations worldwide.